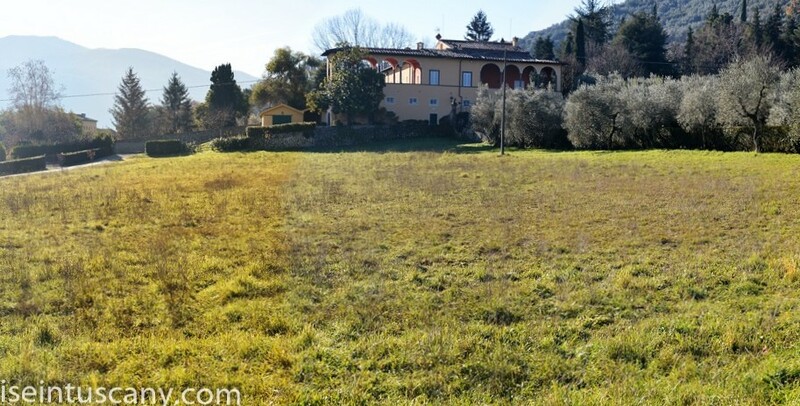 Superb villa with a unique arched terrace harmoniously located in 3,8 ha of olive grove and beautiful Italian garden 5 min. drive from Lucca, a town world wide famous for its cozy, friendly Mediterranean ambiance and its ancient and still intact walled fortifications. 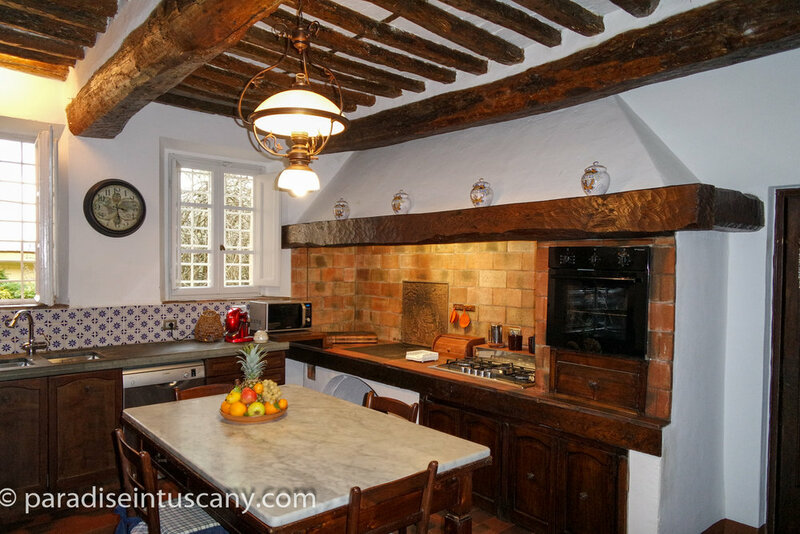 Superb villa built in the 17th century - full of history and harmoniously located in the hills around Lucca with good views of the town. Completely and very professionally refurbished in 2013, thus maintaining its historic features. Uniquely, this is the only villa in the county of Lucca with a series of semi-circular arches forming a terrace on the 1st floor. The villa develops over 2 floors - each of 600 sqm. In addition, the 500 sqm large loft can easily be turned into living space. Inside the villa, there is a separate apartment with 2 bedrooms, with potential for additional accomodation or staff. The beautiful central hall is spacious with double-height ceiling and surrounding first floor interior balcony. 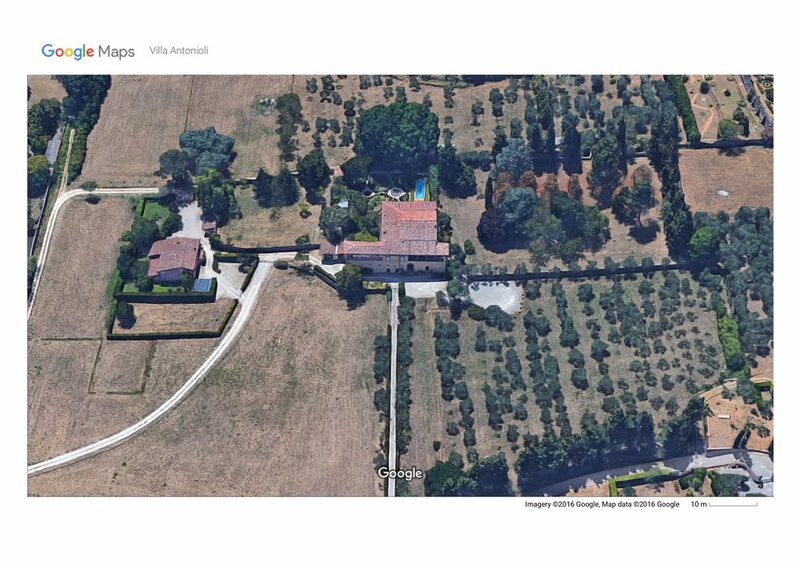 The villa is surrounded by 35,000 sqm of land of which 80% is an olive grove. Available land on the property for re-establishing a wineyard. Beautiful Italian garden is exceptional and comes with a swimming pool and its own chapel. 2-rooms apartment for the staff with kitchen/dining room, bathroom inside the villa. Loft of approx. 550 sqm with 6 additional rooms that can quickly be refurbished and used as extra accomodation. 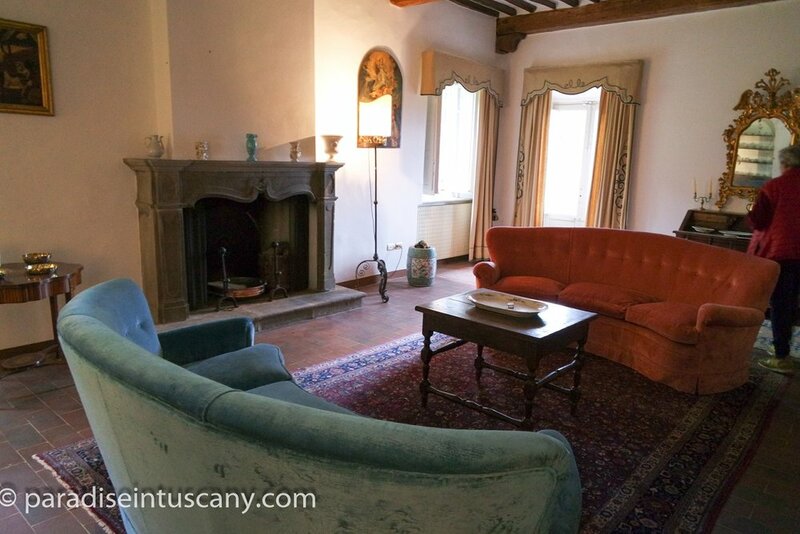 The villa belonged to the Antonioli family, famous notaries in Lucca since the end of 1400. The coat of arms is in sandstone and is placed over the gate at the entrance to the villa. The coat of arms depicts an anvil with a rose over. The villa is constituted by two rectangular bodies, linked together so as to form a "T". On the first floor stands a porch - a Loggia - with sandstone columns. This Loggia is one of the few - probably the only one existing to date - among the more than one hundred villas of Lucca. Another peculiarity of the Loggia is that it is built on the first floor, rather than on the ground floor, as it is more usual. The loggia on the left of the facade - located on the eastern side - is completely open on three sides, thus strengthening further its open space character. 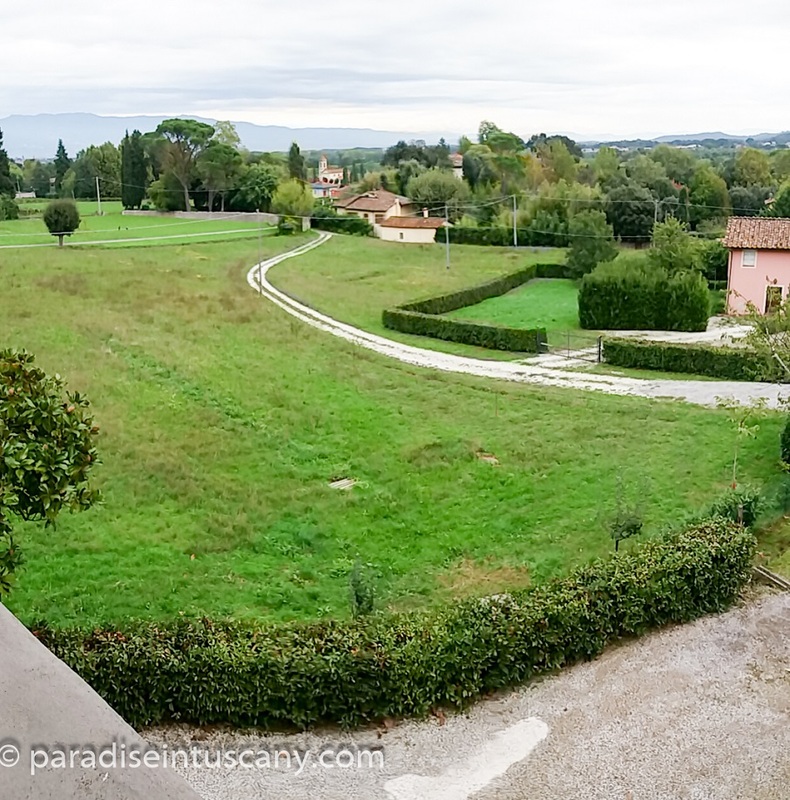 From here one can enjoy the view of the countryside and the plain towards Lucca. 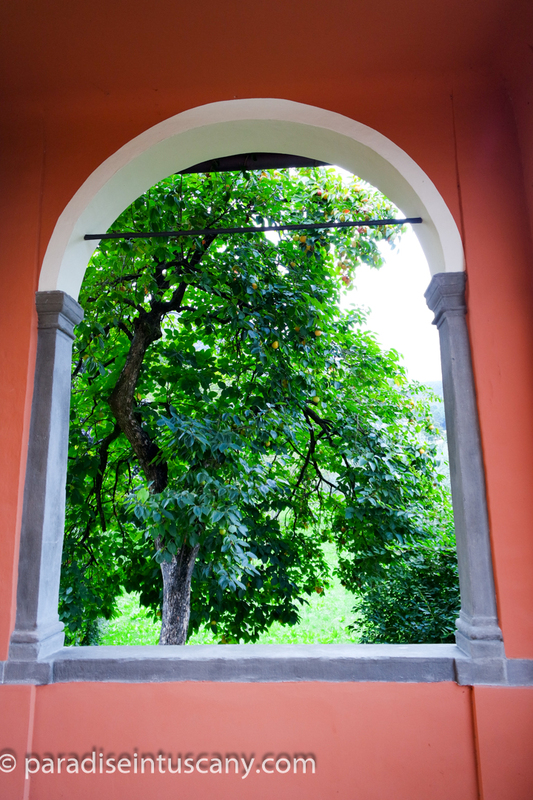 The part of the loggia facing the gardens and orchards provides a sort of shelter for more private family life.